You are here: Home / EAT / Oven Roasted Rainbow Carrots — Fast, Easy, and Beautiful! 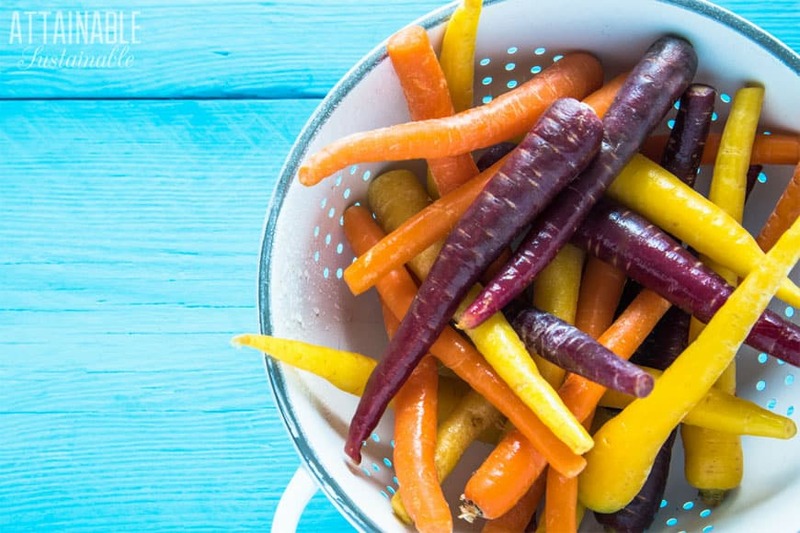 Have you ever seen a more beautiful, natural food than colorful carrots? These oven roasted rainbow carrots are easy to make, but pretty enough for a dinner party. 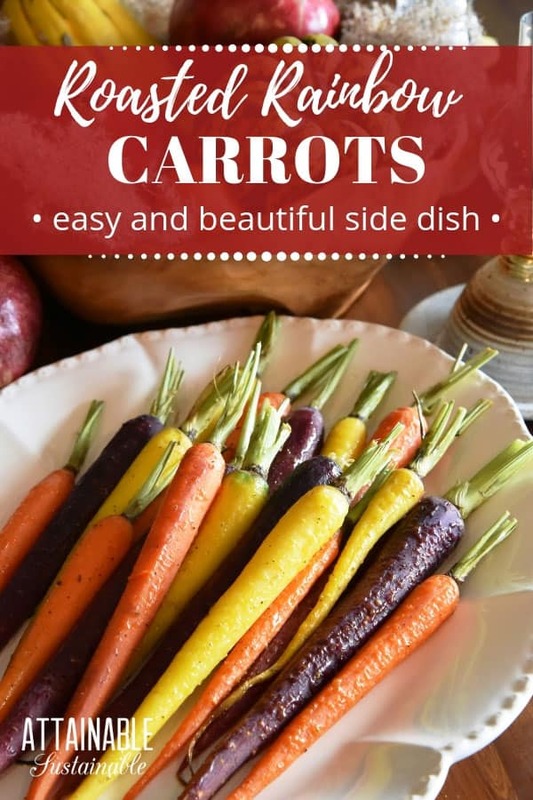 A carrot is one of the most delightful, hearty vegetables to harvest, and thanks to this brightly colored carrot collection, you’ll reap the nutritional benefits of ‘eating the rainbow’ as many nutritionists advise! Rainbow carrots offer everything from vitamin A to anti-inflammatory properties, and oregano is believed to be antibacterial, antiviral, and anti-fungal. 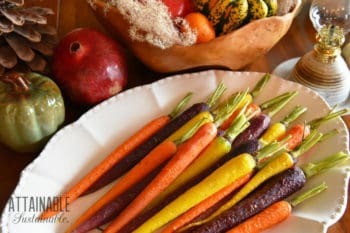 If you have the honor of hosting the next holiday party or dinner party, try serving these roasted rainbow carrots as a gorgeous side dish. 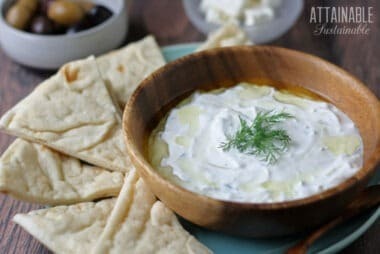 Once plated, they steal the show and wow guests! This is one of the simplest recipes, requiring only five ingredients. The spices are minimal and harmonize with the carrots, allowing you to enjoy the vegetable in its purest form. That’s what makes this easy recipe for roasted rainbow carrots so spectacular! The charm of this easy side dish is that the roasted rainbow carrots are presented with a portion of their stems still intact. This should be easy enough to do if you’re growing your own carrots in your garden. If not, seek out a farmers market vendor who sells carrots whole. Of course, if carrots complete with their green tops are not available to you, this is purely an aesthetic. These roasted rainbow carrots will taste just fine without them. This recipe for roasted rainbow carrots calls for peeling the roots. Is it absolutely mandatory? No. If you’d prefer to keep the carrot skins intact, simply wash the carrots really well with a vegetable scrub brush. ★ Did you make these roasted rainbow carrots? Don’t forget to give it a star rating below! This simple recipe for oven roasted rainbow carrots requires only five ingredients. It's easy to make and yet elegant enough for a dinner party. Preheat the oven to 450º F. Peel the carrots, cut off the ends, and trim the stems, leaving about 2 inches of greenery. Rinse the carrots and pat them dry. Place the carrots on a baking sheet lined with foil. Drizzle with olive oil, salt, pepper, and oregano. Toss to coat well. Roast the carrots for 15-17 minutes or until tender with the prick of a fork. Serve! To preserve fresh oregano, fill a single well (or more if needed) of an ice cube tray about half full with freshly chopped oregano, then top off with water and freeze. Once solid, pop out the cubes, place in an airtight freezer bag, and freeze! 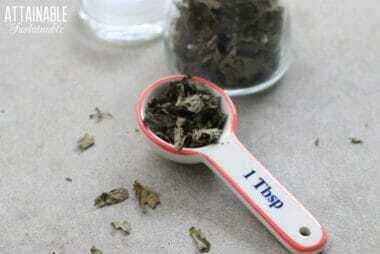 To use, simply use frozen oregano (thawed) instead of dried.